FDA Compliance Specialists, Inc. is a growing company! FDA Compliance Specialists, Inc. values the contributions and expertise of our associates. If you have Pharmaceutical, Medical Device, and/or Biotechnology industry auditing experience, or you have industry expertise in Computer System Validation, Inspection Readiness, and/or FDA Compliance and Quality Training, please send your resume to careers@fdacompliancespecialists.com. Your resume will be reviewed for consideration with confidentiality. Our internal recruiters will contact you regarding opportunities that align with your experience. Thank you! 21 CFR Part 11, 21 CFR Part 210, 21 CFR Part 211, EU Directive 2003/94/EC Good Manufacturing Practice, EU Annex 11, Health Canada Drugs Good Manufacturing Practices, JPAL-MHLW, ICH Q6A, ICH Q9, ICH Q10, 21 CFR Part 4, PIC/S, 21 CFR Part 820, ISO 13485:2012, Medical Device Directive 93/42/EEC, Canadian Medical Device Regulations SOR/98/282, ISO 14971, ISO 9001:2008, 21 CFR Part 58, 21 CFR Part 50, 21 CFR Part 54, 21 CFR Part 56, ICH E6, ICH E2A, ICH E8, and GAMP. 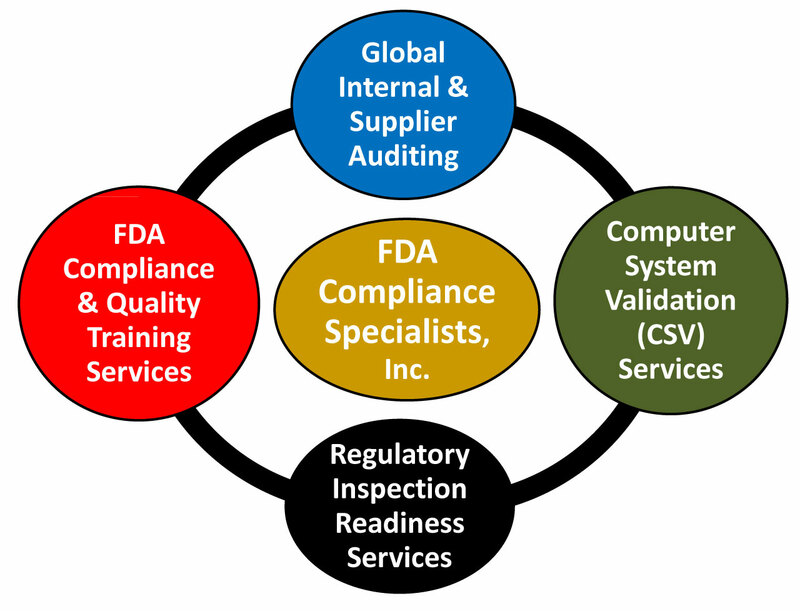 FDA Compliance Specialists, Inc. specializes in providing Global QMS (Quality Management System) Auditing, Computer System Validation, Inspection Readiness, and FDA Compliance and Quality Training services to the Pharmaceutical, Medical Device, and Biotechnology regulated industries. The Quality of our services are best in class meaning we provide more benefits and value-added services for less money!